SERVPRO® of Elizabeth City/Outer Banks is available for you 24 hours a day, 365 days a year to help support families and businesses affected by disasters and unforeseen damage from water, fire, mold, storms, or from biohazard incidents. Additionally, our services extend to help support commercial properties in keeping the workplace looking its very best by offering our commercial cleaning services and security with a no-cost business assessment for an Emergency Ready Plan that is accessible from your mobile devices. Major home insurance providers count on us to respond promptly and provide quality service to our Chesapeake customers. Our office staff communicates with your insurance company and agent throughout the entire process to help settle your claim. Insurance companies are confident in our ability and our certifications offer them assurance. We believe it truly does take a village and in giving back to our community. 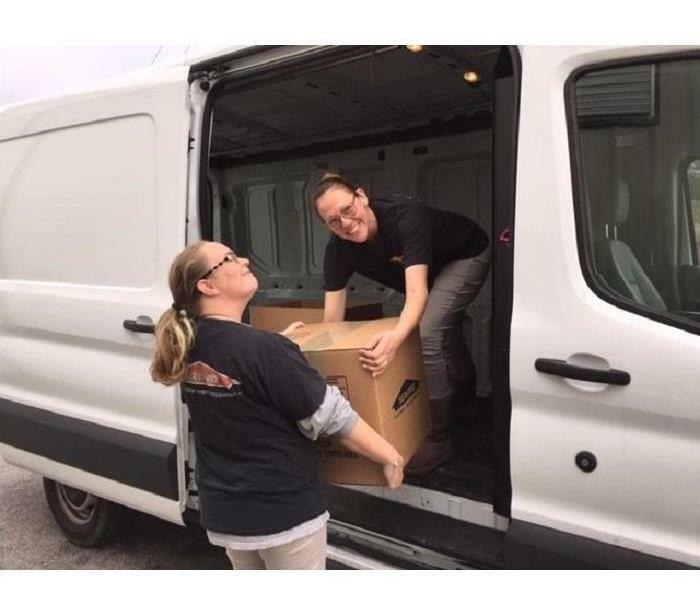 Our franchise owner and our employees help by supporting the Foodbank of Southeastern Virginia, Blankets for the Homeless, the Chesapeake Humane Society, the Children’s Crisis Center of Hampton Roads and to local women's shelters. We participate in many organizations that hold us to high standards like the Better Business Bureau and the Institute of Inspection, Cleaning and Restoration Certification (IICRC). Our commitment to our customers and to the insurance company industry has earned us Chairman Silver and Gold awards presented to us by our corporate peers in Tennessee. SERVPRO of Elizabeth City / Outer Banks is locally owned and operated—so we’re a part of this community too. We are also part of a national network of over 1,700 Franchises, which enables us to respond quicker with more resources. For major storms and disasters, we can call upon special Disaster Recovery Teams strategically located throughout the country.